I have a new logo and new stationary to match. It's not a total rebrand, but it's a little business "facelift" for 2015, and I'm thrilled! First, I turned to Leslie Fandrich for the logo. I went through brainstorming a bunch of different fonts before realizing I wanted something custom, and then I knew exactly who to call. Leslie is an artist, writer, and illustrator whose hand-lettering I've admired for a long time; it's exciting to have something designed by her exclusively for me. She and I took a couple of passes, and when we got the logo just right, Tracy Apps, a graphic designer who has been a dear friend since 2008, laid it out for me and picked the font for the words underneath. 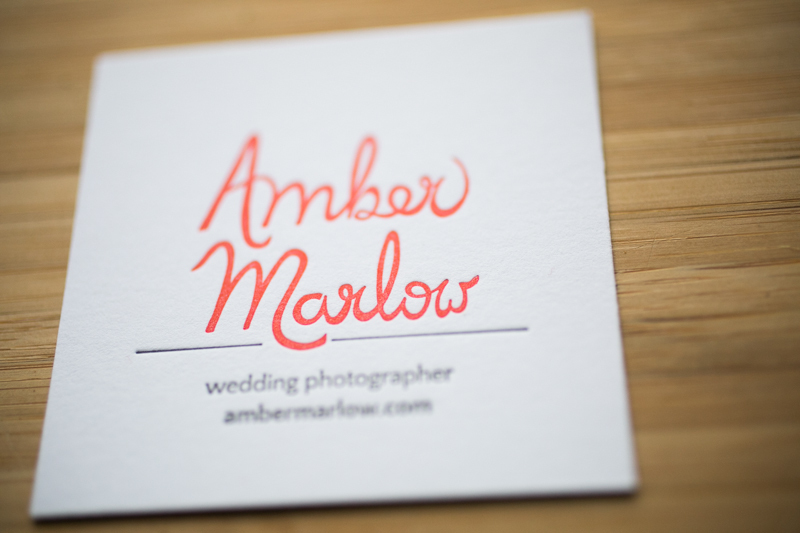 Igloo Letterpress took care of printing, and we had a whole conversation about ink colors! We settled on what Pantone calls "Warm Red C", but frankly I like to think of it as "Marlow Orange". It's been my favorite color since pre-school when I admired the monarch butterflies in my grandmas yard and was wearing out the red-orange crayon before all of the other ones. They chose a charcoal grey for the accent color to keep the look soft and modern; they also picked spot where my logo would sit on my note cards, down on the left bottom (I couldn't decide where to put it, so they surprised me!) They did an amazing job. Isn't letterpress stunning? I love the tactile quality.